This is the tenth post in the series Great Grains, highlighting unusual whole grains and easy ways to incorporate them into your diet. Check out posts on wild rice, teff, and barley, as well. Since starting my series on whole grains, I’ve been passing up a post on oats and wondering whether they’re worth showcasing at all. Oats are one of the few whole grains I was regularly eating anyway and I already had my list of go-to recipes. No one had to twist my arm for a bowl of warm oatmeal at breakfast or one more gooey oatmeal raisin cookie for dessert. Oats are everywhere now — you can even find oatmeal on the breakfast menus at Burger King and McDonalds. I didn’t have to dig through mountains of cookbooks to find recipes for oats like I did with the other whole grains I’ve tried. But despite this familiarity, I still managed to give oats a new look. First, trying them raw instead of eating them boiled or using them in baking was a huge makeover for me. Shaking a few uncooked rolled oats on yogurt, tossing them in a pasta salad, or blending them raw into a smoothie are all great ways to add an extra whole grain crunch. The second oat makeover was to get away from pairing oats only with sweets or fruit. Savory oats — eaten like rice with soy sauce or barbequed in meatballs — would never have crossed my mind a year ago. Oats may be a trusty stand-by in many of our kitchens, but every so often it’s good to take that familiar ingredient we love and shake it up. You just might find that something that’s already good could be a whole lot better and more versatile. Oats come from the grassy plant Avena sativa and are commonly grown in the temperate climates of the upper Midwest and Canada. Although we like to think we are hearty oat eaters, the majority of oats (nearly 85%) grown in the United States are fed to livestock and pets. 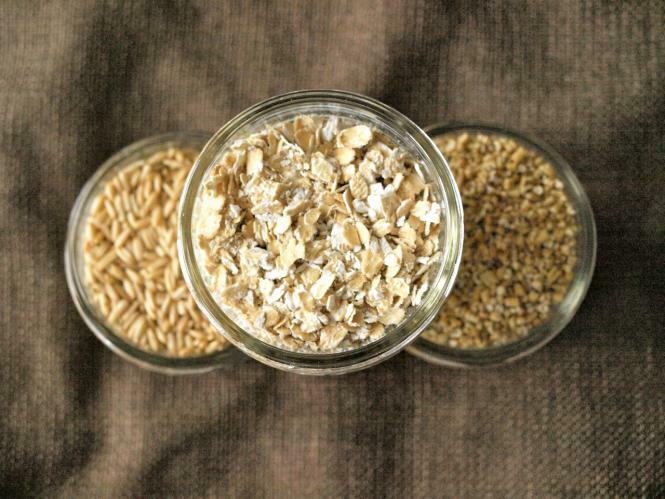 Unlike other grains, oat bran and germ are nearly impossible to separate. No matter how you purchase oats, you are all but guaranteed to be buying the benefits of whole grain. You should be cautious of added sugars, fat, and preservatives in processed or instant oatmeal products, but you can trust when the label says “whole grain oats,” it’s the real deal. The benefits of a diet rich in oats are well-known by Americans, thanks in part to corporate marketing campaigns promoting the cholesterol and blood-pressure lowering perks. Oats are one of the few whole grains to have received the major marketing treatment, which is likely why we’re so open to eating them. Where can I find oats? Oats can be bought in the supermarket under many different names. 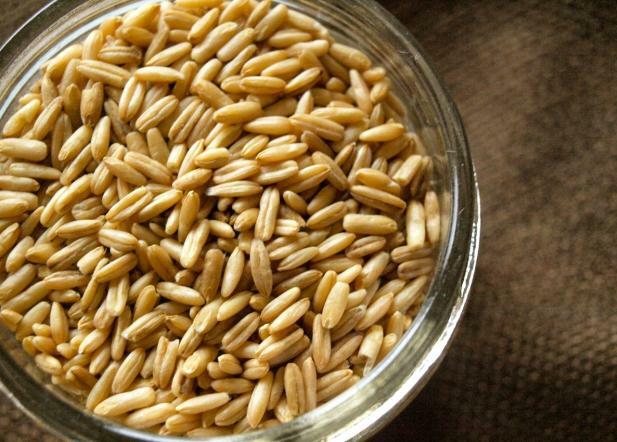 Whole oat groats are the entire intact grain. (It’s the one that looks most like horse feed!) These can be ground into fresh oat flour or soaked overnight for heartier oatmeal. Steel cut oats are the whole groats cut into two or three large pieces. These also give standard oatmeal a richer texture. Both whole and steel cut oats take a long time to cook, however, which is why many Americans opt for rolled or quick-cooking oats. Old-fashioned rolled oats and quick-cooking oats both speed up the cooking time. They’re made when the whole oat is steamed and then pressed flat into a flake. 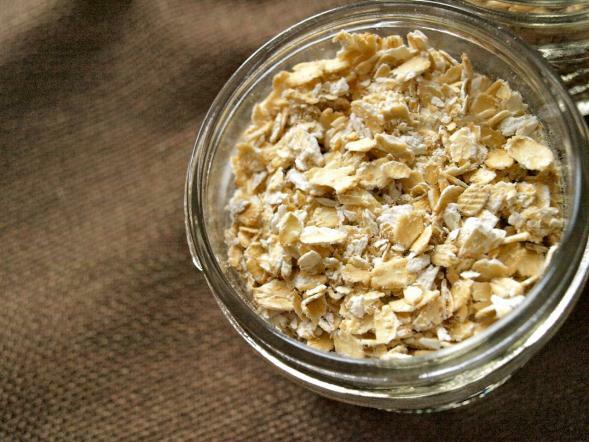 Quick-cooking oats are rolled thinner and have been steamed longer during processing. They are often sold as “instant” oatmeal – the kind in the packets. Quick-cooking oats are perfect for breakfast on the go, but should be avoided for baking. The texture changes and can make some recipes mushy. I found oats, now what do I do with them? 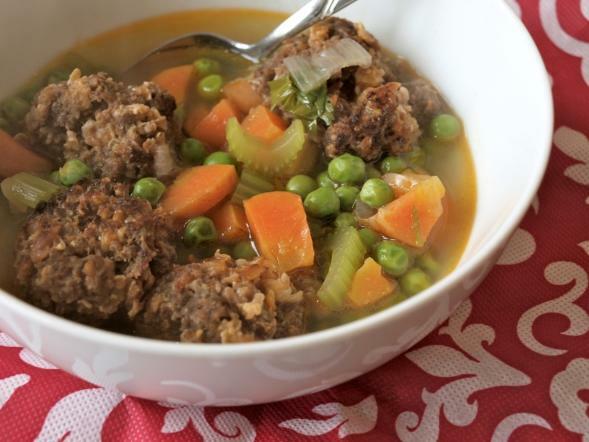 Oatmeal Meatball Soup – combine ½ cup of rolled oats with 1 pound of ground beef or turkey. Shape into meatballs and broil until cooked through. Add into 6 cups of chicken stock with your favorite vegetables and pasta. Oat Crusted Chicken – Grind oats, garlic, parmesan and seasonings into a flour. Dip chicken pieces in milk or oil, coat with oat mixture and bake until cooked through. Oatmeal Salmon Cakes – Add ¾ cup rolled oats to 2 cans of salmon. Combine with milk, egg, onions and fresh dill. Patty out into ½ thick slices and pan fry until golden brown. 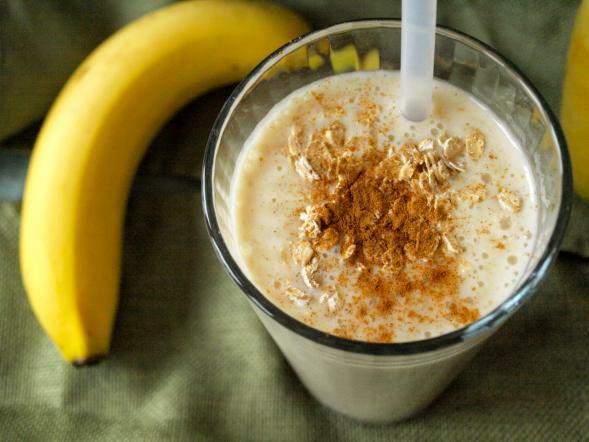 Oatmeal Banana Smoothie – Combine ½ cup oats with yogurt, bananas, milk, and honey in blender. Blend until smooth. Top with a sprinkle of cinnamon and extra oats for crunch. Savory Oatmeal with Cilantro and Soy Sauce – One of Mark Bittman’s recommendations to update oatmeal is to try savory toppings over sweet versions. He suggests soy sauce with green onions, a fried egg with cheese and salsa, or salt and pepper. Oatmeal Crepes – Grind oats in a grain mill or blender to make ½ cup. Add 1 egg and ½ cup milk. Pour into a crepe pan or small frying pan. Top with your favorite crepe fillings. Amy Sippl is a frequent contributor to Simple, Good, and Tasty. She grew up in rural Wisconsin, but now calls St. Paul her home. She writes about her successes and struggles to eat and grow local food on her blog: Minnesota Locavore. She writes the Great Grains series for SGT; her last non-grain post for us was Co-op on a Budget: Winter Eating for Locavores.